Due to the fact that we have produced mobile software for more than 20 years at Mi-Corporation, we often say we were “doing mobile before mobile was cool.” The iPhone was not even released until 2007! Did you know that our CEO, Greg Clary, was doing machine learning before machine learning was cool? His academic and early career background was in machine learning, beginning in 1990. He focused on applying statistical machine learning models, such as hidden Markov models and neural networks to speech recognition, handwriting recognition, and image sequence classification. The key to machine learning is “training” data. In machine learning, the computer builds models based on existing training examples in order to make predictions or classifications based on new data. 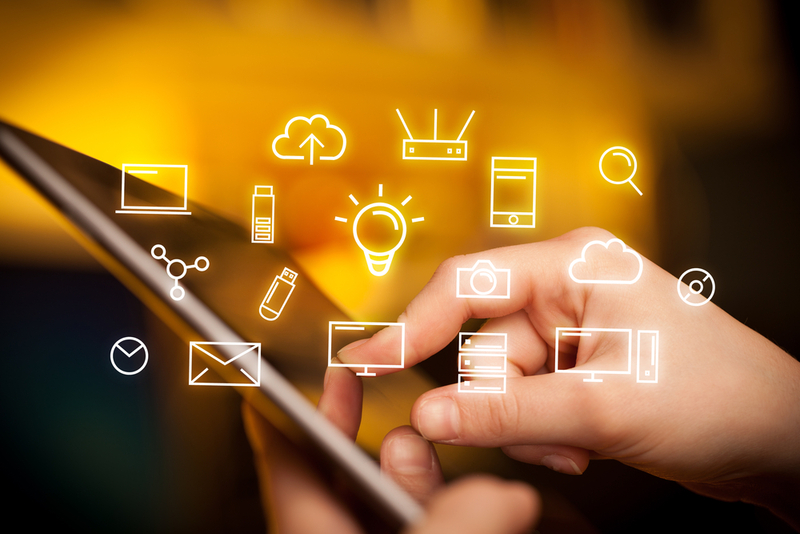 In the current work of Mi-Corporation, users collect copious amounts of data using mobile devices. This data is aggregated into databases. For one transportation customer, in a four-month period, three auditors collected over 2,600 inspection records. This is more than enough data to train machine learning models. While the amount of training data necessary for accurate prediction or classification depends on the number of parameters of the chosen model, a reasonably sophisticated, accurate model could be built with this data. In a 2017 study of CIOs from The Enterprisers Project, close to “90 percent of respondents say more automation will increase the accuracy and speed of decisions.” Therefore, Machine Learning is becoming more and more applicable in the business landscape as we progress forward. In our Mi-Analytics product, users interact with charts and graphs based on collected data. Tables and charts are connected and simultaneously change when users click on sections of a chart or graph. Users can drill-through all the way to individual inspection records including photos. These interactive, connected charts provide powerful visualizations (see example below). The data we collect can also be used to train machine learning algorithms to make predictions and classifications. An Artificial Intelligence Day was held at the United States Department of Transportation last week. It was moderated by the Chief Data Officer Daniel Morgan of DOT and featured speeches from the Secretary of Transportation and the CIO of DOT, among others. We were proud to have a table (pictured below) between fellow exhibitors Microsoft and Salesforce. The Chief Data Officer of DOT named two examples when talking about artificial intelligence: one was machine learning as applied to their safety data, and the other was artificial intelligence aids for inspectors such as speech recognition. 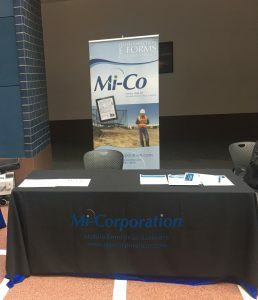 Mi-Corporation’s business applies to both areas, and we are excited to work with DOT. An important statistical model in machine learning is the hidden Markov model. It is used to model time series data. A model can be built to represent each class or predictive outcome. Each model is a Markov chain with non-observable state sequences, which generates the data. Hidden Markov models are commonly applied to speech recognition because while audio is observable, the states of the vocal tract which produced the audio are not directly observable. Specific to DOT, we hypothesize that hidden Markov models apply to traffic accident prediction as well. While there are many observations that are pertinent before a crash, such as vehicle speed and direction changes, the series of decisions made by involved drivers are not directly observable and are thus hidden. 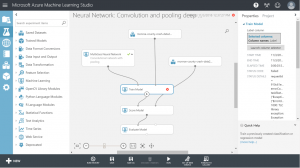 Our partner Microsoft supports machine learning experiments via its Azure Machine Learning (ML) environment. Azure ML provides drag and drop support for aspects of data handling, modeling, and model evaluations that formerly took weeks or even months in Greg Clary’s early career. A screen shot of the drag and drop Azure ML Studio environment is featured below. 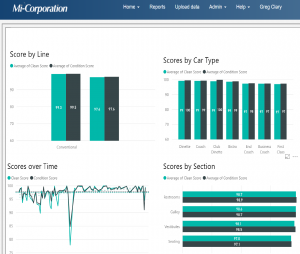 At Mi-Corporation, we are honored to work with Microsoft and customers like Department of Transportation to bring the power of machine learning to bear on important business problems.